. Published on July 27, 2017 . 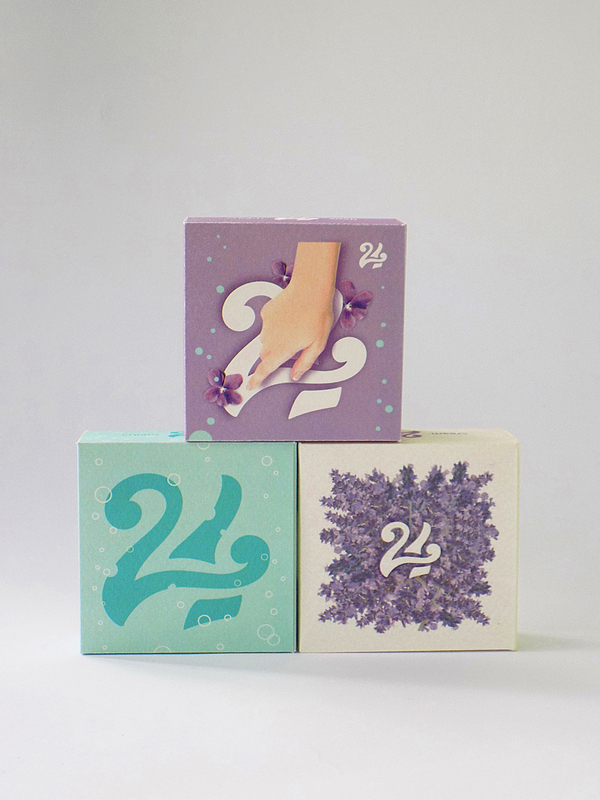 “24th” is a student project. 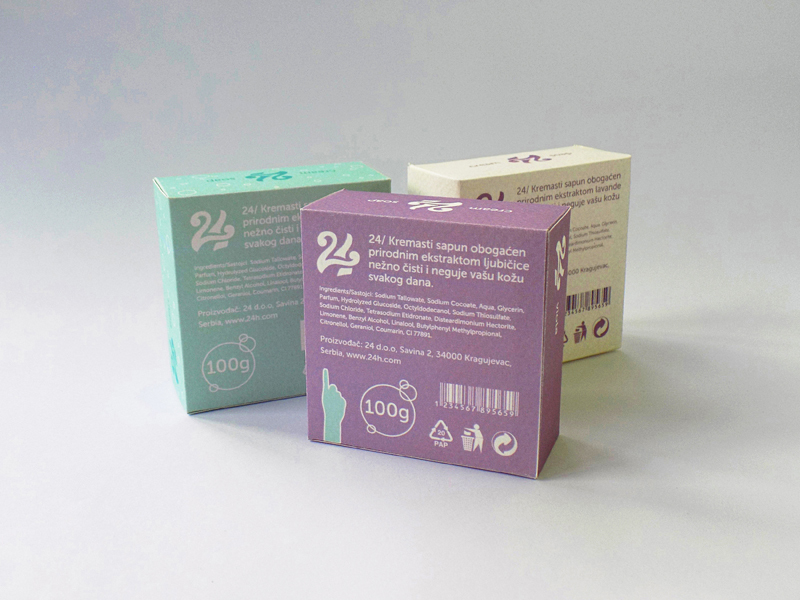 The first part of the task was to create a series of packaging, beginning with the economy version, through the more expensive one, to the premium version. 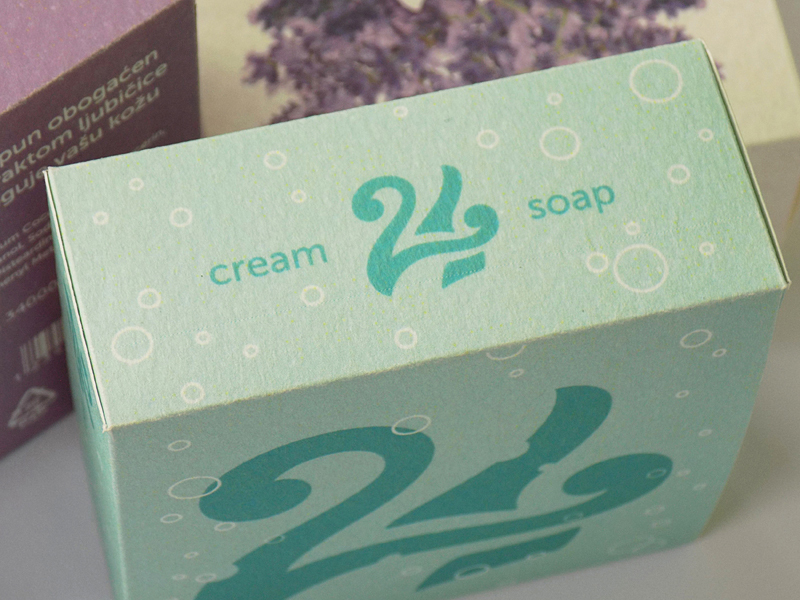 The name “24h” was chosen because it implies freshness and beauty throughout the day when using this product. 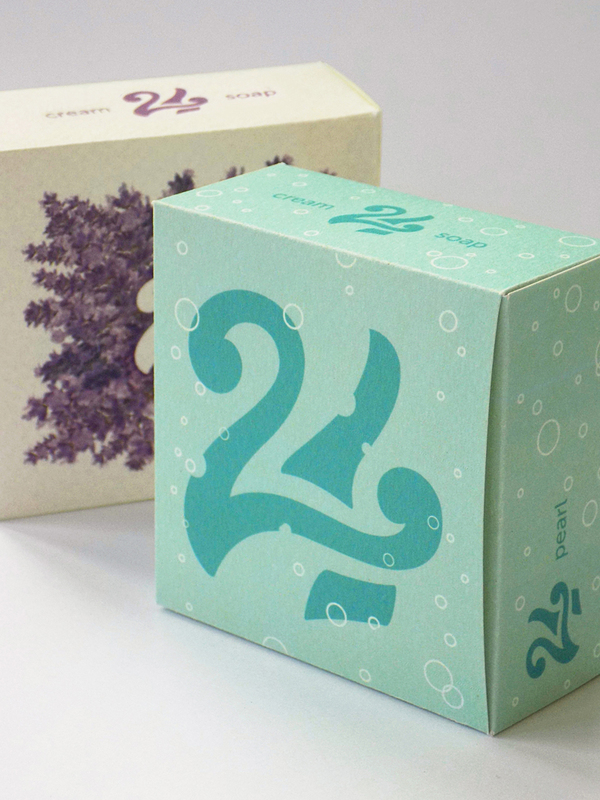 Three different colours indicate three types/scents: Pearl, Lavender and Viola. 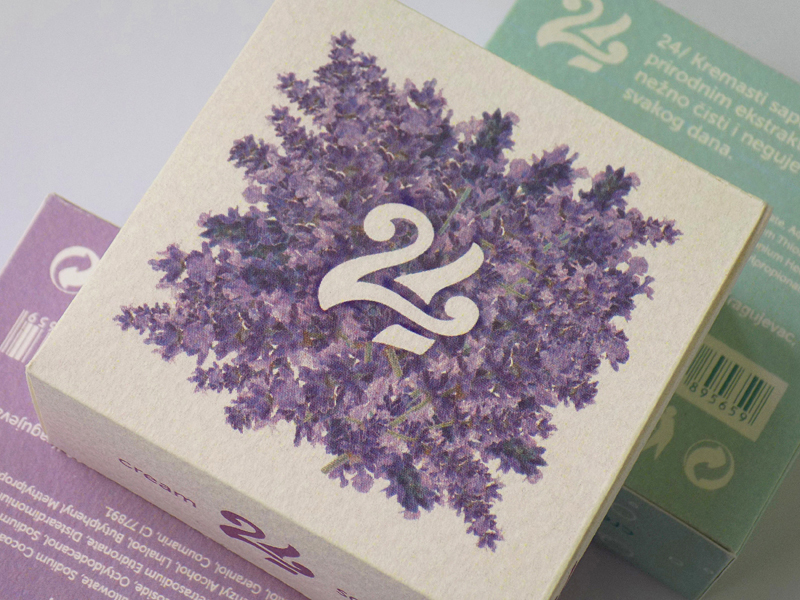 Lavender (premium) should be printed on some high-quality paper and hot foil stamping should be used. 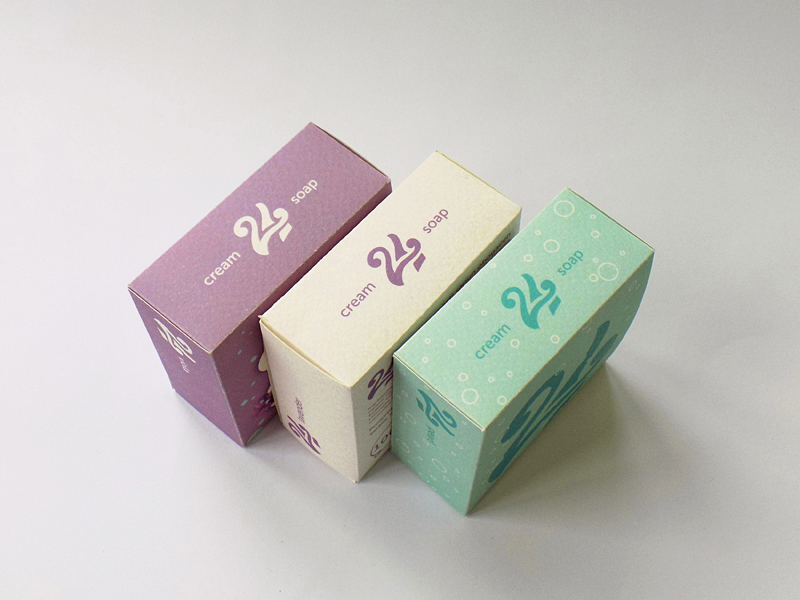 The second part of the task was creating a campaign for the premium packaging which included not only one poster and billboard but also the teasers. 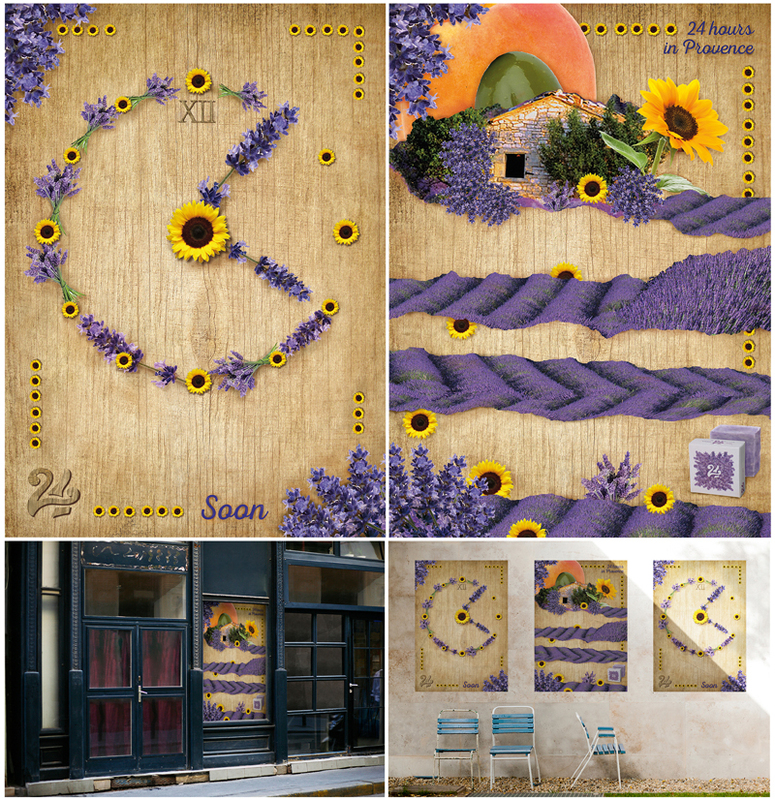 Since Provence is a region famous for lavender, Mina Bakliža chose it as a “backdrop” for the advertisement, and came up with the message “Using this soap will make you feel as if you were somewhere in Provence”. Mina Bakliža is a graphic designer and illustrator from Serbia. In 2007 she received a master’s degree in English language and literature at the University of Kragujevac (The Faculty of Philology and Arts). After four years of working as an English language teacher, having realised that she needed a more creative job, she decided to completely change her career and enrol at the same faculty to study graphic design. She obtained a master’s degree in June 2017. So far she has taken part in numerous national and international art as well as design exhibitions, some of which are Strelka International Design Festival, Golden Bee, Trnava Poster Triennial, while some of her other works have been featured on the Dieline and Packaging of the World. She has created visual identities for several plays and theatre festivals in Kragujevac and Belgrade. 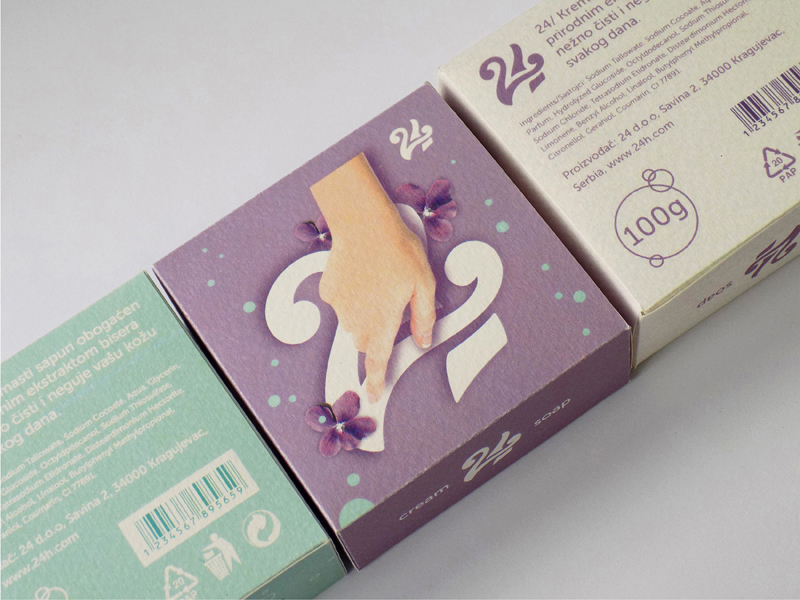 When it comes to various fields of graphic design, poster and packaging design are her favourites.